KAMPALA – The Inter-party Organisation for Dialogue (IPOD) summit to be held on Wednesday, December 12, will not hold much meaning without opposition Forum for Democratic Change (FDC), the Democratic Party has said. Early this month, Mr Wasswa Biriggwa, the FDC chairman, announced that the party would not attend the summit because the ruling party has reneged on many of its proposals for the summit. 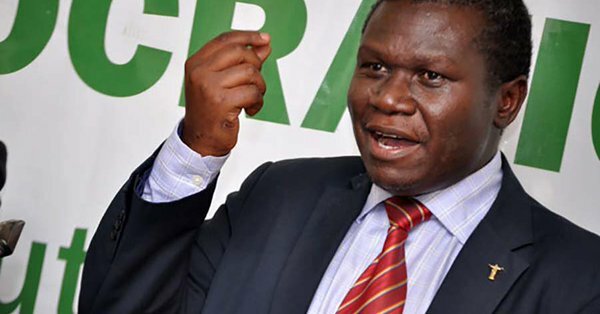 According to DP president Norbert Mao, whose party has since returned to the summit after an earlier boycott, said the Memorandum of Understanding signed in 2010 by all parties under IPOD indicates that no single resolution can be arrived at in the absence of one of the parties. “If one of the IPOD members is missing then the summit will be more of a consultative meeting because you cannot come to a conclusion when one of your members is absent,” Mr Mao told journalists at their weekly press briefing in Kampala on Wednesday. He added that he has attempted to convince FDC leaders to reverse their position on boycotting the summit in vain. “The reason why IPOD has been paralysed is that the person who is on top of everything has been cancelling the meetings for several times, now it seems FDC is taking the same route because we have been in this together,” he said. Mr Moa also revealed that DP is expected to hold the next IPOD summit mid next year and it will be more organised than this. “We have hope that next time FDC will attend the summit, but it’s useless to be a member of IPOD and you do not attend the meetings organized by the organs,” Mao said. He added that since they had a meeting as opposition they have not heard from FDC on their final decision.